If you’ve been the victim of identity theft, and someone has stolen your Social Security number or personal data to file taxes, open credit accounts, or make charges you didn’t authorize, you can find out who committed this illegal act. There’s no 100% foolproof way to catch an identity thief. After all, the crook could be a total stranger running cyber-scams in another country – or it could be someone close to you, like a family member or friend. Whatever the case, here’s a 4-step process to follow to find out who stole your identity and caused you so much aggravation. Begin by requesting copies of your credit reports from the three major credit bureaus: Equifax, Experian and TransUnion. As a victim of identity theft, you’re entitled to receive your credit reports free of charge. 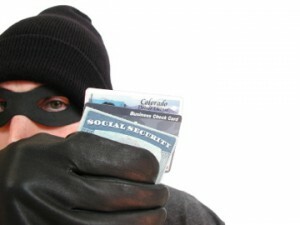 Scrutinize your credit reports for possible telltale signs of identity theft. Red flags include inquiries, or new applications for credit that you didn’t request; new charges or new accounts opened in your name that you didn’t authorize; and addresses listed on your credit report that you don’t recognize. The next step in finding out who stole your Social Security number or who misused your personal data, is to file an ID Theft Complaint with the Federal Trade Commission (FTC). This government agency doesn’t bring criminal cases against identity thieves. But they do enter your complaint into the FTC’s Identity Theft Data Clearinghouse, which law enforcement officers can search as part of their criminal investigations. Make multiple copies of your ID Theft Complaint and store it away in a safe place. After you’ve contacted the FTC, report the matter to your local police department. You’ll need to file an Identity Theft Report, which is a particular kind of police report that contains specific details related to instances of identity theft. Filing a police report/Identity Theft Report is vital. You must do it order to be entitled to certain legal rights (explained in detail below). Before you leave the police station, get a point person. Write down the full name, badge number and phone number of the police officer that will be investigating your case. Once you have your ID Theft Complaint, police report, and credit reports, you need to write to all the businesses that the identity thief tricked. Under Section 609(e) of the Fair Credit Reporting Act, if you request it in writing, you are entitled to receive all information about fraudulent accounts and unauthorized transactions that were made in your name. Once you receive all the paperwork from the businesses fooled by the fraudster, look for patterns and clues into who stole your identity or Social Security number. For instance, do you recognize any of the phone numbers or addresses used to commit the fraud? Are any of the signatures on the credit applications or charge slips familiar to you? And what about the company’s own conclusions? Did their fraud unit write a report stating who they think committed the identity theft? Again, these kinds of clues can help you determine exactly who stole your identity. Unfortunately, identity thieves often target people they have access to, like friends or relatives. So don’t be surprised if someone you know has victimized you. But if the crook who stole your identity turns out to be a total stranger, chalk it up to bad luck: With 10 million cases happening every year, you were simply a random victim of identity theft, the fastest-growing white collar crime in America. Need more information about this topic? This article is a condensed version of a special, in-depth report created for victims of identity theft. The special report is called The Identity Theft Recovery Guide: What to Do When Your Social Security Number or Personal Information Have Been Stolen. The special report contains detailed information about each one of the steps outlined above, additional tips on how to notify the IRS when your Social Security number has been misuse d; specific contact information of all the agencies you need to contact; and two sample letters you can use to help you recovery from ID Theft. 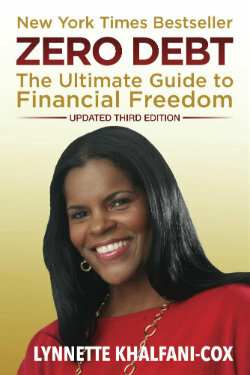 The first is a Sample Letter to the Credit Bureaus for Victims of Identity Theft. This letter will instruct the credit reporting agencies to block from your credit reports wrongful information that resulted from identity theft. The second is a Sample Letter to Businesses for Victims of Identity Theft. This letter is a template you can use to legally obtain detailed records from each and every company that the identity thief did business with when they used your name, credit or Social Security number. Each letter include also includes a copy of the relevant sections of the Fair Credit Reporting Act describing your legal rights when your identity has been stolen. 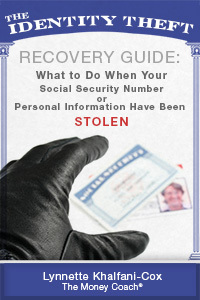 Download your copy of The Identity Theft Recovery Guide now!